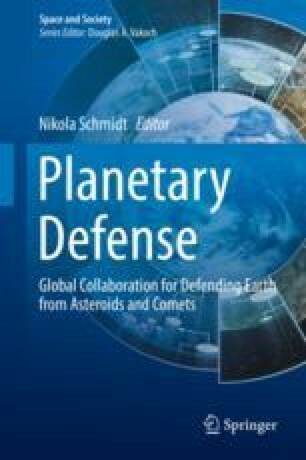 The two essential functions of planetary defense are to locate any asteroid on a collision course with Earth and to deflect or destroy it before it hits. Short-term warning and evacuation may be sufficient to protect populations from small asteroids. If active defense is required, we may either deflect the asteroid (change its orbit so that it misses the Earth or strikes in an uninhabited area such as oceans or deserts) or break it up far enough from Earth that the debris is dispersed and misses the planet. Most defense strategies involve deflection using spacecraft to intercept the asteroid, preferably several years before the predicted impact, to produce a change in its orbital period. The technologies that have been studied use kinetic impactors, nuclear explosives, or gravity tractors. None of these has been demonstrated yet, although the DART mission under development will test kinetic impact technology. Other suggestions, such as laser or solar heating or various slow-push options, are not technologically mature enough to be considered. Because dangerous impacts are exceedingly rare, with intervals of centuries or longer, we must also consider the potential unintended consequences or even deliberate misuse of premature development or deployment of planetary defense systems.